You maybe added by a facebook account of someone you don't know and you accept the request but they doesn't seem bothering you to know you or chat with you. 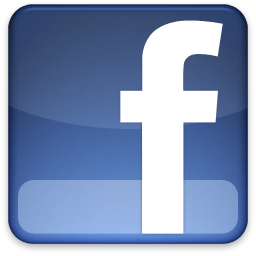 They maybe stalkers or they may use your personal information to scam or trick someone. So now you want to delete them to your friend list so they can't access your personal informations. 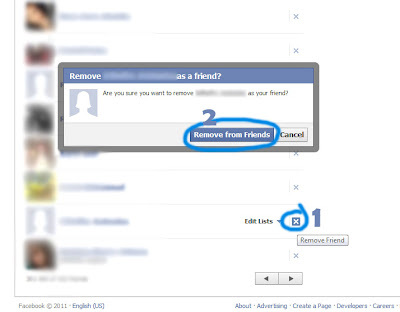 There are only 3 simple steps to delete those friends. In the navigation bar above, Click on account then click on edit friends. 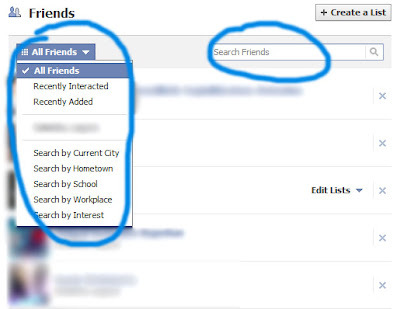 on the left of the "Search Friends" Bar, the drop down list, choose "All Friends" to show all of you facebook friends but you can still use the Search friends to find a particular person to delete. You can still use other functions like recently added to delete a recently added friend. If you already find that someone you wanted to delete, you'll see an "x" on the right of that person's profile. Click that "x" and an message will pop up and confirming if you are sure you want to delete that in you friend list. Now you're all done and now safe from maybe a trickster.